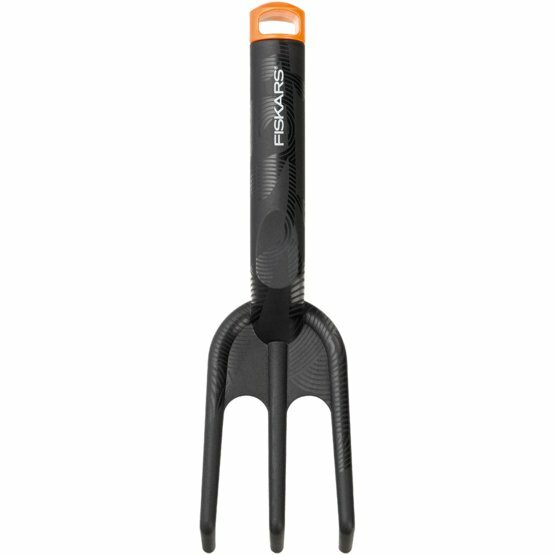 Fiskars Cultivator is the right nursery tool for aerating and loosening soil, doing planting and preparing the soil. 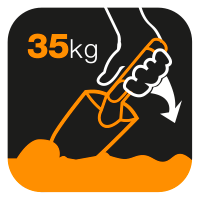 Like the other standard Fiskars cultivating tools, this tool is made from FiberComp™ which makes the tool extremely lightweight but strong and easy to handle. 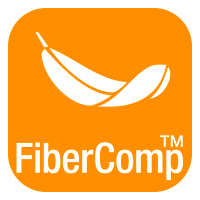 The benefit of FiberComp™ is that it does not corrode or age over use. The prongs of this tool can be sharpened for optimal performance and when your cultivating work is done for the day, the hanging hole makes for easy storage.